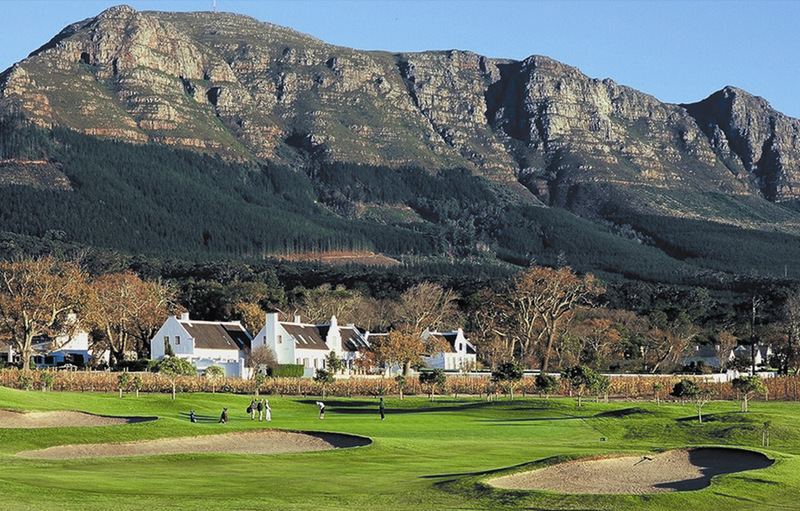 Hugging the slopes of the Steenberg Mountains in the idyllic Constantia Valley, Steenberg Golf Course meanders its way through the Steenberg vineyards, pine forests and gentle waterways. 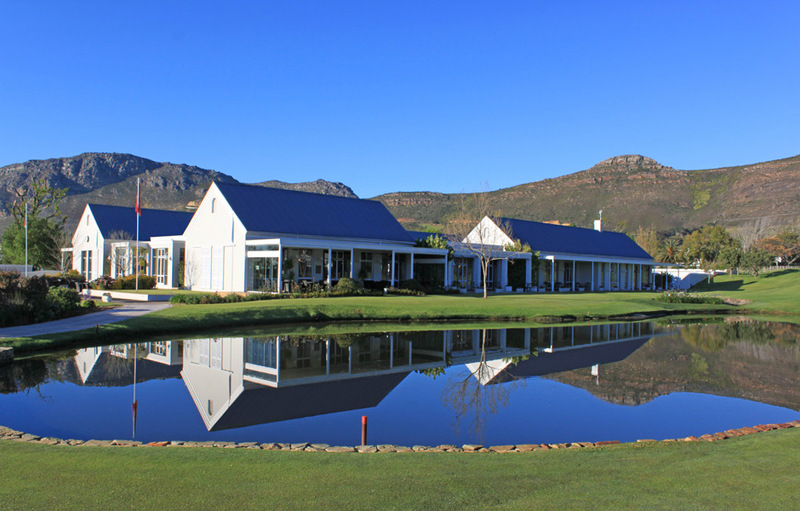 Designed by renowned golf course architect Peter Matkovich, the Steenberg golf course features four distinct areas; Wetlands, Parklands, Cape flats and Fynbos. 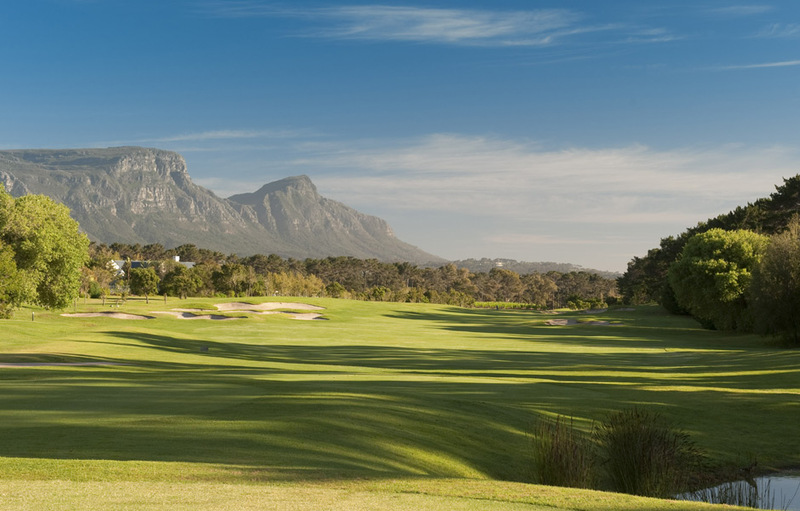 The course is in immaculate condition and was voted as the 13th Best Conditioned Course in SA by Golf Digest in 2012. It also holds the number 36 spot in South Africa’s Top 100 Courses for 2012. 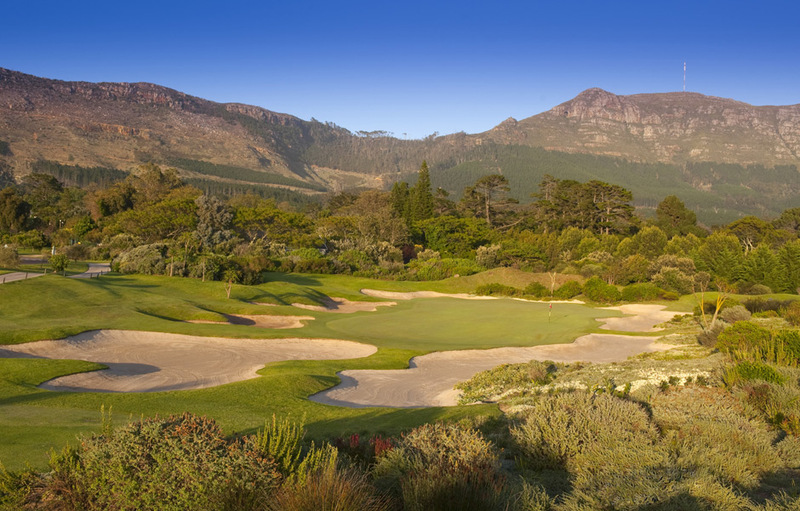 The course’s five different tees allow professionals and amateurs alike to enjoy their round of golf and the greens are reputed to be the best in Cape Town. As you play the first six holes, you meander through gentle manicured parklands with some of your tee shots played off raised tee boxes amongst the vines. Here you are relatively protected from the Cape’s famous winds. Heralding in the start of the Wetlands part of the course is the challenging par-three 7th hole. This hole is definitely one of the highlights of the Steenberg course. Masterfully designed, it features an even, central plateau with a slightly sloping green which demands a meticulous finish. If you overshoot, the surrounding water is unforgiving. Entering the Heathland section of the course, you will find white-sand bunkers providing a natural hazard on the fairways. 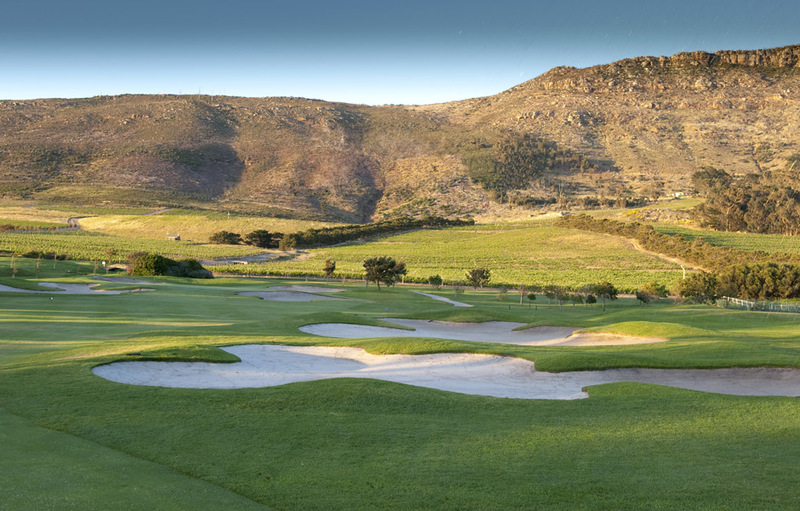 With its central obstructive rough and large 60 meter green cosseted by six bunkers, Steenberg’s par-three 14th hole is challenging to even the most experienced golfers. There are a number of practice areas available to golfers which are conveniently located alongside the first tee. Golfers can warm up at the driving range, chipping area with sand traps and the large putting green. 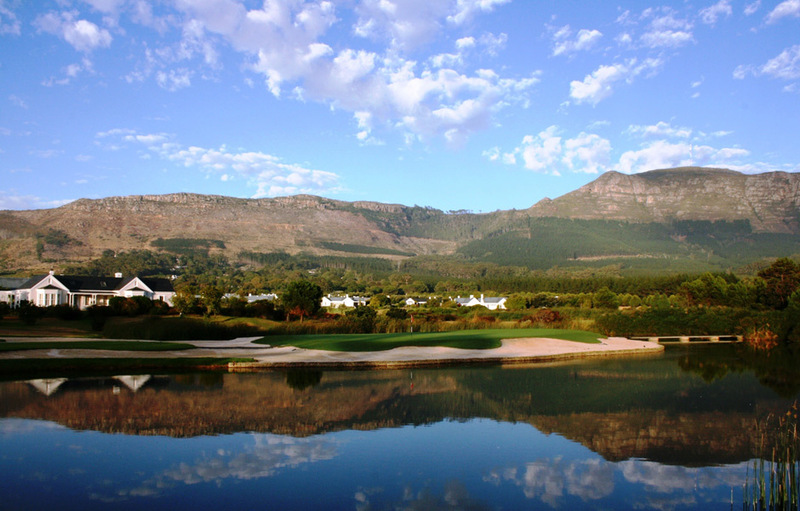 Steenberg was recently voted into the number one spot on the “Top 20 Foreign Golf Resorts 2012” by Conde Naste Traveler readers and sits in the number two spot worldwide. In keeping with the historic architecture of the Steenberg Estate, the central clubhouse has cool, airy rooms with French doors leading onto a terrace overlooking the 18th green and dam and surrounding mountains. The locker rooms are generous and decorated with pale oak. The Pro Shop is sure to take care of all your clothing and accessories needs. Superb service levels round off your memorable experiences at Steenberg. Golfers are requested to dress conservatively and within the guidelines laid down by Steenberg Golf Club.